Any experiences flying with Rwandair? Perth to Cape Town with SAA: can you check bags right through? Hawaiian Airlines Lounge Access SFO ? United Business - which FF account should I use? JAL - Can a Business class passenger take a guest into Sakura Lounge? Alaska Airlines - New First Class A320 - Anyone tried it ? 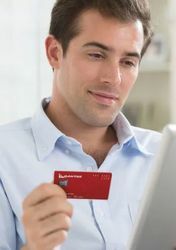 Paying for AA redemption online using Australian credit card? United MEL-LAX and SFO-SYD Polaris?